Detroit-based automotive franchise, DetailXPerts, expands its domestic reach by bringing its eco-friendly auto wash and detailing services to Colorado. Detroit, Michigan – August 26, 2015 – This past March, IBISWorld published a market research report on the US Car Wash & Auto Detailing industry, which stated that the industry’s overall revenue totals $9 billion. The consistent, global demand for automotives and the fact that consumers are taking better care of their vehicles are only two reasons why experts label automotive franchises as one of the upcoming business giants. Local truck and car franchise company, DetailXPerts, is continuing to expand its domestic reach by bringing its eco-friendly auto wash and detailing services to Tennessee. This past month DetailXPerts Franchise signed its first franchise unit in Colorado since launching its franchising operation in 2008. 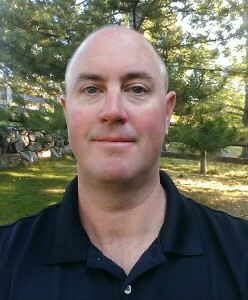 The newest franchisee, Steve Hickman, was born in Mesa, Arizona, and lived all across the United States with his military family before settling in Colorado. As a youth Hickman became involved with the construction industry. Hickman even owned his own small construction and remodeling company for years before returning to commercial construction. When Hickman was ready to go back into business for himself he wanted something different, and DetailXPerts fit the bill. “I owned my own construction business before. I know the higher risk and extra effort involved when starting a new business on your own. I could have easily reopened my old business but I wanted something different. I looked at a few other franchises but nothing came close to DetailXPerts,” says Hickman. DetailXPerts repeat business system, low overhead, little-to-no competition, great support and eco-friendly commitment convinced Hickman this was the franchise for him. “I’m a mountain man. I love the outdoors. For as long as I can remember Colorado has been experiencing drought. This year we have had an unbelievable amount of rain, but it is not the norm. DetailXPerts’ commitment to water conservation hits home here in Colorado,” Hickman says. Hickman’s initial franchise truck wash and vehicle detailing will officially launch later this year in Denver, Colorado. DetailXPerts’ regional developers have marked Colorado, and Denver in particular, as a virtually untapped market for growth and profitability.